I have a Holden rodeo 07 diesel 4jj1 and I had it sitting for a week or so while on holidays and when I started it, I noticed the engine light was on and now it won't rev past 3000rpm runs fine other than that but just won't rev past 3000rpm well 3200 to be exact, I have called the local Holden dealership and they offered no advice other than bring it in and they will diagnose at $140 per hour. Anyone else have similar issue, I have been searching a little and it could be suction control valve/fuel pressure regulator, please help? is it this or something else and if it is how can I be sure???? Help!! help!! help!! Also the hand brake was slightly stuck on aswell and stalled it the first attempt at breaking its grip. 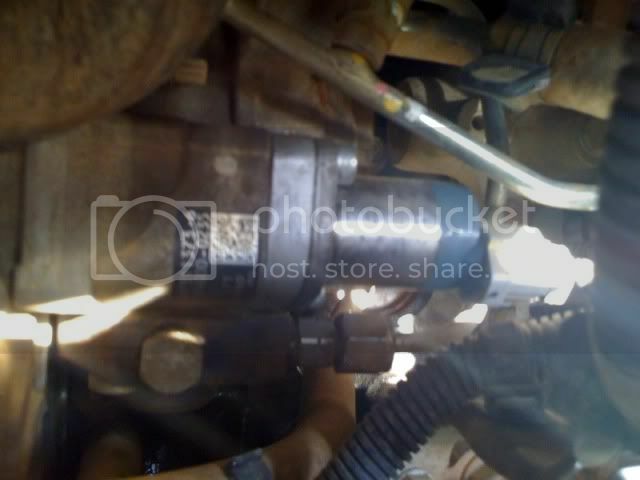 Firstly I would changethe fuel filter if it hasn't been done for a while or at least drain the filter to see if the black agae is present. If it is blocking the filter ie almost blocked and now grown while away, then it may be restricing. That may indicate the engine light too. ie Restriction light. You can disconnect the upper switch on the filter for a test to see if the light goes out. If it does then filter change now. 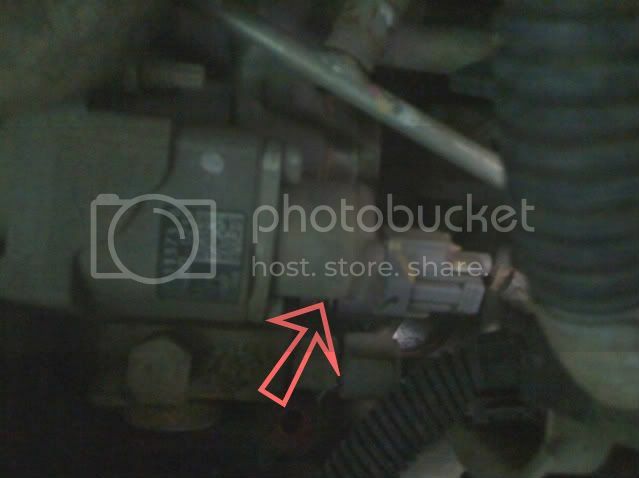 The Fuel pressure regulator on those DID give trouble, (very common) and the reg is on the back of the HP pump. Faces toward firewall. That may be faulty. New ones are longer and seem trouble free. If filter is clean the the fuel pressure can be read by a gauge fitted to the drain (yellow valve in a Dmax Engine bay LHS rear, and open the valve to let fuel system pressure get to the gauge. should read around 6 psi. That valve is to drain the filter base of water in normal use. You will hvve to disconnect the water sensor connector and the blocked filter sensor one at a time to see if either turns the light off. Have you done this to eliminate faulty sensor/switches or presence of water or dirty filter. A filter can block in 10,000km with dirty fuel. It may run OK up to a speed and not past it. Mabye the fuel pump is running slow and not delivering the rate for for higher revs/acceleration. Have you checked the fuel pressure at those revs? no i am currently at work for a few more days, was hoping for an easy fix, i unplugged a few sensors and gave them a spray with crc co electrical clean and discovered the real engine like come on, so the light that is actually on is the service light! sorry for the misleading info, any ideas why that is on???? i have disconnected the battery over night and has cleared the real engine light but still have the service like on with limited revs and cruise control turns on but when you try to activate and it doesn't. You are going to have to get a scangauge on it to get the code to help work out the problem. By the sounds I don't think it's the suction control valve, as you would be in real limp mode and not get much above idle. From memory the code for the SCV is P1093, and if so, the part is readily available for around $150, plus fitting if you're not up to the task yourself. thanks, it does still have the old one, will engine light come on for this issue or service light??? Sorry to bring up a old topic but my 09 Colorado is doing the same thing. Bringing up service light and limited to 3k rev. Jus done a major service and it's still there. Did changing the scv fix the issue? Doing my brain in atm. Hi guys, I've seen a similar post on this page without a answer so I thought I might give another run down. Hey guys, I have bloody googled for days with no actual succes. The service light came on ( yellow spanner) and isn't letting me pass 3k. Not that you need it but it is nice. I've done a full service including oil filter, fuel filter and air filter. Car runs a 3" straight through exhaust and a egr resistor but have had no issues with those mods. All the posts don't actually say what it is and it doesn't help the scan tool shows nothing. Starting to do my head in. I've cleaned out most the sensors but surley it's something small. Tried disconnecting the battery for sometime and and tapping the pos/negative battery lines together as I've head that works but still nothing. I've also replaced the scv, cleaned out the egr and it's still on. When wiped with scan tool it goes but when you go to take off it hesitates slightly then the light comes on and it then runs fine. Surely this 3k rev limit has happened to someone else and can tell me what's up. Driving me up the wall. Often those spanner symbols are a service light - they are just a time or kms travelled indicator that's meant to remind you to get a service, and there's usually a bloody simple method of re-setting the switch that's turned it on!! Yeah, it could be a warning or signal warning you of some error or code, but if that's the case, you'd think you'd generally be able to find out what it means pretty quickly!! So, if it is the timed switch thing or a service reminder, sometimes that reset method is outlined in the glovebox manual, but some manufacturers &/or dealers try to keep it a deep dark secret so you hafta go to an authorised dealer to get it switched off. That's actually illegal under our Aussie laws, they aren't allowed to force you to use them or their parts or create a false monopoly thru such practices, so it might be worth while asking your dealer & if they confirm that it is one of those but balk at telling you how to reset it or doing it for nix, have a chat to your local Automobile Assoc (RAA, NRMA, RACQ etc), or get proper legal advice on where to go next! Good Luck! The only way to reset the service light is with a scan tool which I have but it comes back on as soon as you drive it. And I did comment on the original post and even pmd the guy and never got a reply. Plugged it into my mates snap on scan tool. Possibly throttle tps is out. Is that common or is it more tps on throttle body?